In nonfiction reading, a good question to keep in the back of your mind is whether students are engaging in reading and any kind of assessment related to the reading in a way that is finding facts to answer questions that are static. Or are they engaging in thinking and reasoning through the connections? If students are merely finding facts to answer questions, that’s summative because it requires just that students know the definition of a word or can fill in the blank. They aren’t being asked to think about their own ideas and to refine their thinking. The purpose of a formative assessment during the reading is not only to stimulate the group's thinking and spark new ideas, but also to highlight if students have misinterpreted the task, the vocabulary, the concepts right away. That helps the teacher refine that thinking before students progress too much further. For example, if the teacher stops students after the class has read a couple of pages and asks students for questions and connections, that would be an example of a formative assessment. How is what we're reading about now in some way connected to something else we've read about? Why would this be important to read now? We just finished a unit about something very different. Is there a connection of some kind? That's formative because it prompts students to think and make connections, and it communicates the expectation of what students should be doing in that moment. 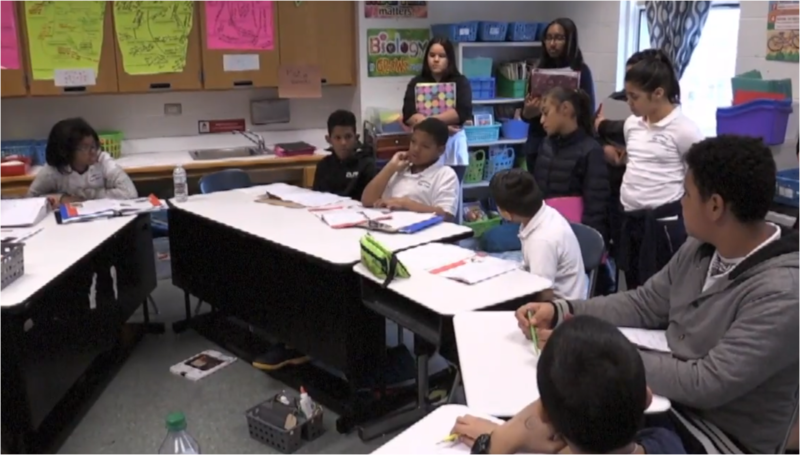 The quality of those questions and connections that come back tells the teacher the depth of engagement and prior experience to students' skillset with thinking, and then helps that teacher adjust, coach, and go from there. The teacher can also communicate their expectations about the quality of the student’s contributions. If a student makes a connection and it's the same connection that another student made, the teacher can ask them for another connection. What's a connection that hasn't been brought up in this discussion so far? Without being overly confrontational, the teacher can communicate their expectation to that student and the group in a way that is low stakes, that can happen with high frequency, but it helps that student and the group better understand what the expectations are, what it means to learn well and contribute productively in the context of the nonfiction reading. Socratic dialogue is really in its entirety a forum for formative feedback, peer to peer, where students are bringing questions, ideas, and theories that they've been building as they go along, such as from the reading, to get the group’s input. Who would like to add to this thought? Who would disagree? Who would agree? Why? How? That's the refinement process. In Socratic dialogue, students use the forum as an opportunity to contribute and gather feedback on their own ideas and connections while also helping their peers refine and develop their thinking. We encourage people to use a rubric, such as a peer evaluation form we co-developed with one of our clients in Bayside, Wisconsin. The advantage of this formative assessment model is that it helps students to shift from areas of stumbling blocks to their ultimate goal with the help of their partner, who's observing them in this conversation. Over time, from one peer evaluation sheet to the next, from one Socratic dialogue to the next, it’s possible to compare the categories to see how individual students are performing and whether they are growing, plateauing, or even dipping. That provides insight for both the teacher and the student. For the teacher, it might indicate that something needs to change in their pedagogical approach. For the student, it provides insight into how they need to be in the classroom and provides tangible, concrete feedback, which makes them responsible for their own learning. It’s important to communicate to students that during the dialogue, they should use Socratic talk and accountable talk to present their ideas, to build on the ideas of others, to dispel myths or misunderstandings, and argue from evidence. Engaging in formative assessment at a high level is something that both teachers and students need to learn. Socratic sentence starters are a good way to get students to begin to develop these skills. The sentence starters are a useful tool for engaging in critical dialogue with their peers in this Socratic environment, and to target the kind of questions to use. The Socratic dialogue is the springboard for lab planning and investigating, where students work collaboratively to gather ideas and contribute to their team’s effort in solving a problem or answering a question that they have emerged from the Socratic dialogue with. Students need to understand that one expectation for this part of the lesson is that they work collaboratively to find consensus on ideas and approach. In other words, they need to work within their teams to develop and refine their ideas until they come to consensus. They also need to take responsibility for their own ideas, which means they can reason and support their ideas with evidence. One way to formatively assess how well students are internalizing those expectations is to press students to see if there is consensus within the team and whether everyone takes responsibility for the ideas being presented. Can all of the individuals in the team reason and support the ideas with evidence, not just the “team leader”? Checkpoints are a good way to provide this formative feedback. 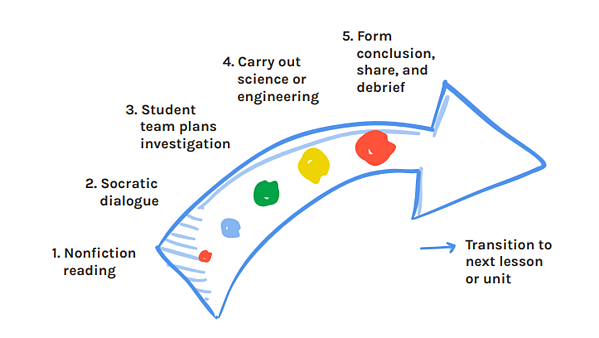 Checkpoints should happen at multiple key points during the lab, where student teams come to the teacher to present their progress, discuss their ideas, and explain their thinking to the teacher. The teacher once again can act as interested skeptic, probing students to explain their thinking and to support their ideas with evidence. If a student team approaches the teacher and shares their ideas, the teacher can ask questions about those ideas and the evidence used to support them. Some of those questions might be new to the team, so students can then go back and think more about them with their partner. They can either change what they’ve done or incorporate this new way of thinking into the next phase. 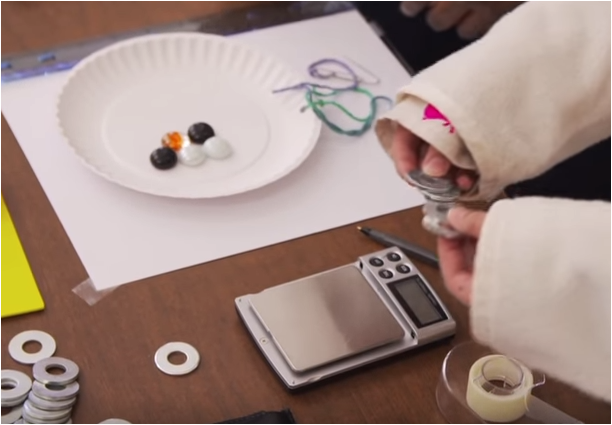 For their part, the teacher can see that whether the students understand the expectations. If it seems as though there wasn’t enough clarity, the teacher can stop everybody right here and change their technique in some way to make their instruction more effective in the moment. Overall, this process is really about each party getting feedback that is most useful at becoming more effective in the moment. The wrap-up uses the same Socratic techniques as those used during the dialogue. The key difference is that the wrap-up centers on the evidence students gathered during the investigation. The expectation here for students should be that they present their findings and support those findings with evidence. They should also compare and contrast their findings with those of others in the class, to analyze the results and to better understand the effects of process and human error on the outcome. This is an opportunity to provide students with formative feedback on false positives, false negatives, persistent myths, or misunderstandings. It allows the teacher to be a thought partner to the class as they analyze their results and try to make sense of any differences. 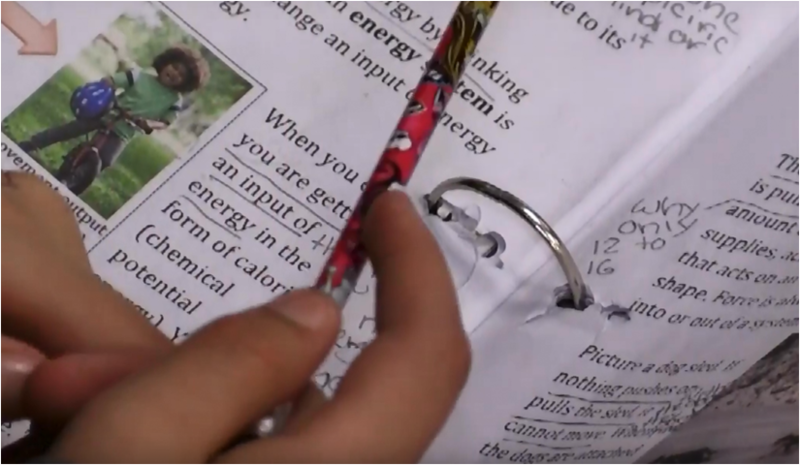 A good approach is to seek consensus on the connections between what the groups found and big ideas from the lesson and prior lessons. Push for concept-to-concept connections and some reflection on the anchor phenomenon in light of what was learned about the investigative phenomena.